Now that the school year has settled in, I am finally able to sit down and blog a bit about some fun ideas for Back to School. This post is dedicated to all things MATH!! I'll start with the title of this post and show you this new FREE item I posted on TpT. This is a super fun activity for students to complete those first weeks of school and to hang up for Open House. 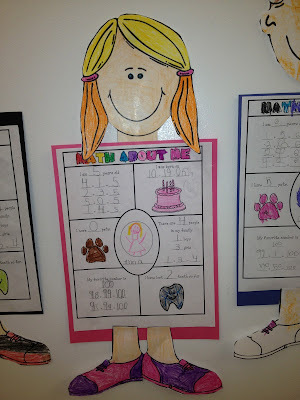 It's a twist on All About Me and instead uses numbers to tell about themselves. Here is what it looks like hanging up right now outside my classroom. Although I used it as a Back to School activity to hang up for Open House, you could really use it at any time of the year. Since writing this post I've updated this FREE product with an adorable poem to introduce how numbers are all around us. The beginning of the year in 1st grade is dedicated to lots of review and assessing where students are after a long summer break. 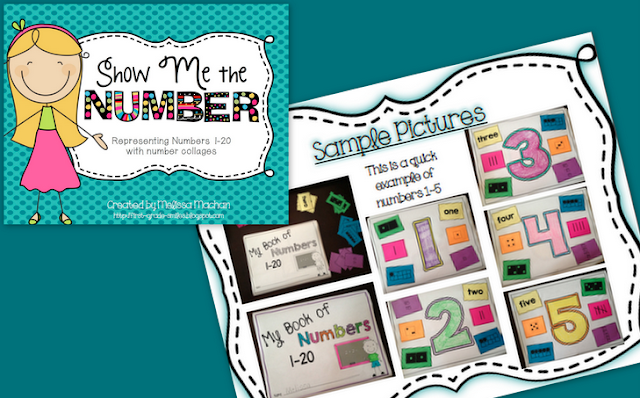 This booklet that I have students create is a great way to see what children know about numbers 1-20. It includes collage pieces for number words, tallies, dominoes, tens frames, dice, and base ten blocks. I do a quick review of each one as we add them to our books and I also direct students to where they can find some resources around the room for help. Building number sense is all about making math meaningful and interactive. Here are some math activities that will help you improve your students' number sense each and every day. I start out the routine of Daily Math right from the beginning. I make a different packet for each month and we do a new number everyday. 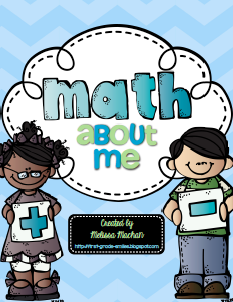 There are a variety of pages included to keep it interesting all year long including: 100 charts, tens frames, base ten blocks, money, and so much more. There's even pages to document the weather and TONS of reference pages to keep in a folder or binder for them to use throughout the year. 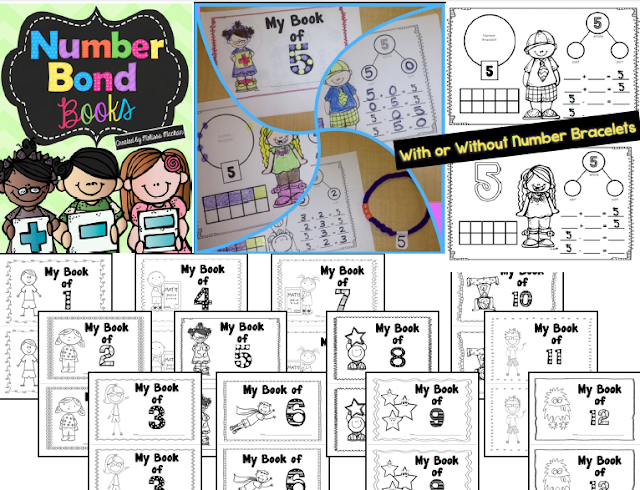 Making these Number books is another great ways for students to see a number for all the ways you compose and decompose it. We take a lot of time creating these and tie them in to our Number of the Day too. The kids love making the number bracelets and using them to find ways to make each number. These books can be used with or without making the bracelets. 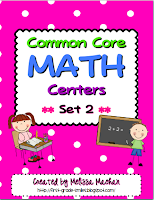 And of course, I needed some common core aligned Math Centers to use during my math time. 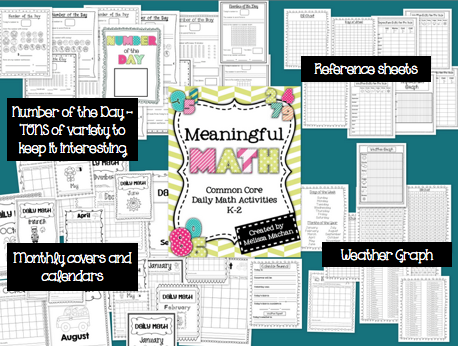 These can help your students practice Common Core with some fun centers and activities. 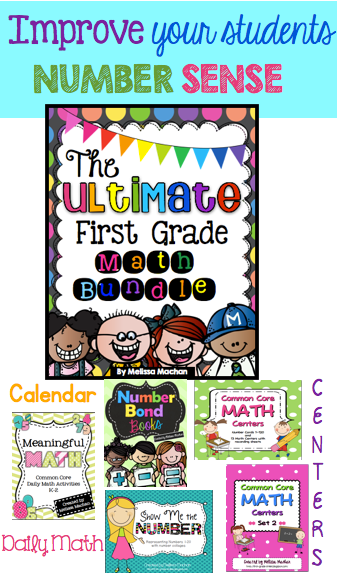 This first set of "SWEET" centers are perfect for those first weeks of school. They are basic centers that require minimal direction, but the skills are perfect for the beginning of the year. 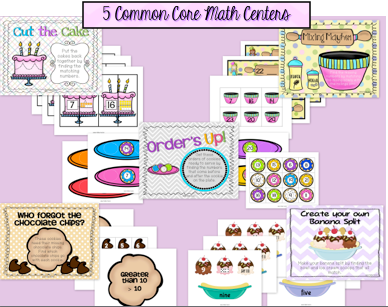 These Common Core Math Centers are my go-to throughout the whole year! There is a ton of variety so you can use and reuse these all year long to keep practicing these crucial skills. I hope you found some fun ideas you could use in your own classroom. If you liked ALL of these products, then you should definitely check out this BUNDLE that includes almost everything you see here but at a discounted price. I'm so happy you liked it. Thanks for the note! I love this! I'm so glad we found each other! I'm going to pin it and tell all of my teacher friends! You are too sweet!!! Thank you for the kind words (and the social networking too). This is all so new to me - it's so amazing to have people who are supportive right from the get go. I really appreciate it! 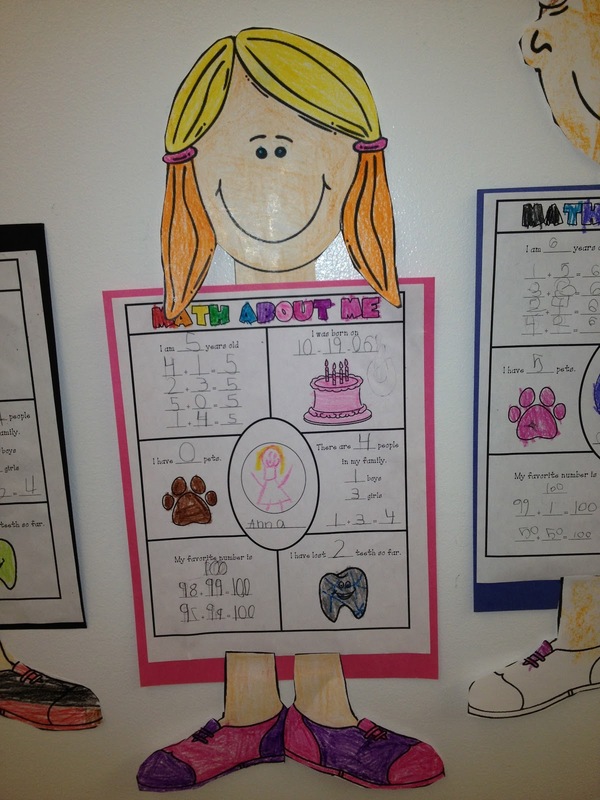 What a cute idea to combine math with learning about others! I'm going to tuck this away from next year! BTW, I found you through the Boo linky. Cute site! Come check me out some time if you're looking for a little more inspiration! Thanks so much for the comment - I'm always looking for more inspiration! I'm on my way over to your blog. So far I am really enjoying this new world of teachers. Just found this on Pinterest and I love it! Thanks so much for a freebie! Just found this on Pinterest. I downloaded it and filed it away in my back to school file. Thank you so much! Melissa, thank you so much for sharing! I will definitely use this idea for Open House! NICE!!!! I LOVE IT and THANKS for sharing!!!! Since I teach K, can it be altered? Instead of how many teeth lost, maye..... My favorite color. My kids will love this this fall! Thanks! Hi! I will love doing this the first week of school! 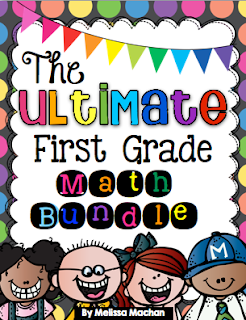 Lots of first graders don't think about how numbers are all around them, so this will be great! I am a new blogger, too! 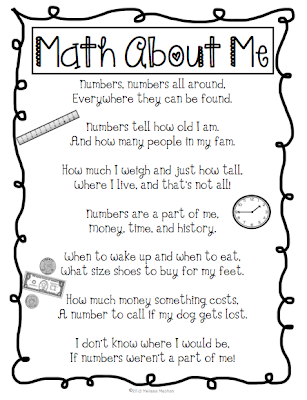 Love the Math about me! Just discovered and added your site to my bloglovin. Thanks for creating such fun things. Thank you so very much for the freebie. 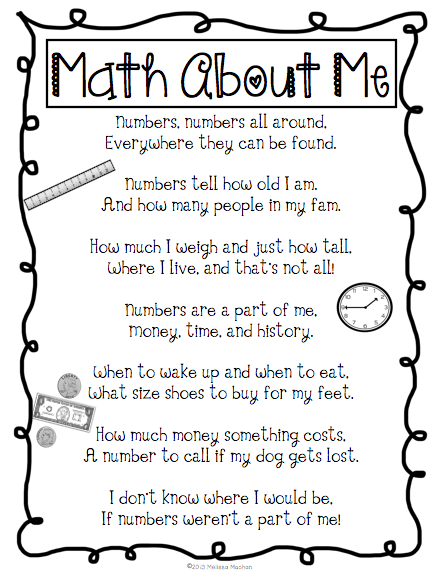 I love the idea of Math about Me! It is so important for our students to see, talk and realize math is all around us. Where did you get the people cut outs? Is there a black line master? This so cute! What program do you use to make your handouts? So cute! Perfect for a back to school activity! Thank you so much for this freebie!!! Thank you so much for the math freebie. So cute! Can't wait to use it! My students are doing this activity as I write!! They love it! Thanks! Thank you for this wonderful activity. The kids will love it.